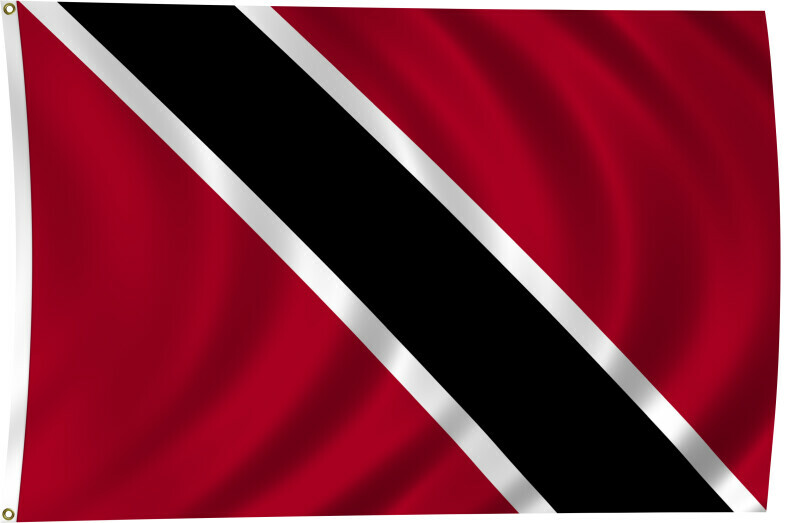 Color flag of Trinidad and Tobago. Red with a white-edged black diagonal band from the upper hoist side to the lower fly side. Flat color and black/white versions of world flags are available on the Clipart ETC website.